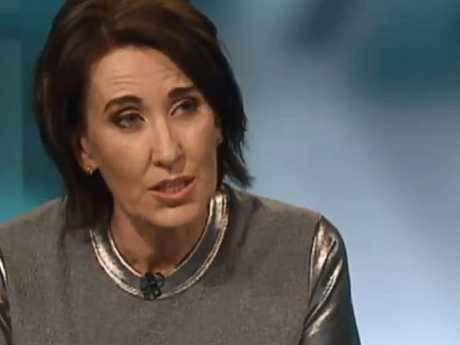 VIRGINIA Trioli and Senator David Leyonhjelm have locked horns in a fiery exchange on the ABC's 7.30 in which the independent Queensland politician challenged her, "Are you calling me a liar?". 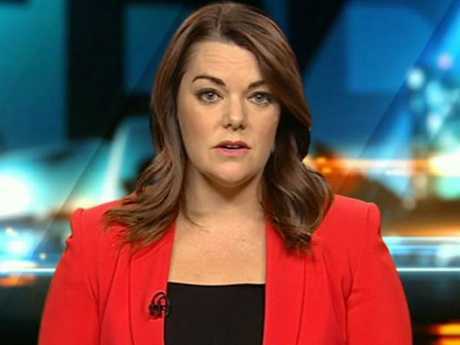 Responding to questions about his latest parliamentary stoush with Greens Senator Sarah Hanson-Young, Senator Leyonhjelm told acting host Trioli, "No woman in my family would accuse all men of being sexual predators". Leyonhjelm: "So you are calling me a liar. Thank you very much." The exchange continued with Trioli accusing Leyonhjelm of being "frankly bitchy when women take you on". Senator Leyonhjelm said that when people "write obnoxious emails to me and the woman who wrote that did, I feel that I am perfectly entitled to respond". The feisty interview came after both Senator Hanson-Young and Senator Leyonhjelm had criticised one another on Channel 10's The Project, and the stoush spilled over onto the ABC. A defiant Hanson-Young declared on The Project she would "not be bullied", and vowed to take a stand against Senator Leyonhjelm over "hideous" and "hurtful" comments made towards her in parliament. 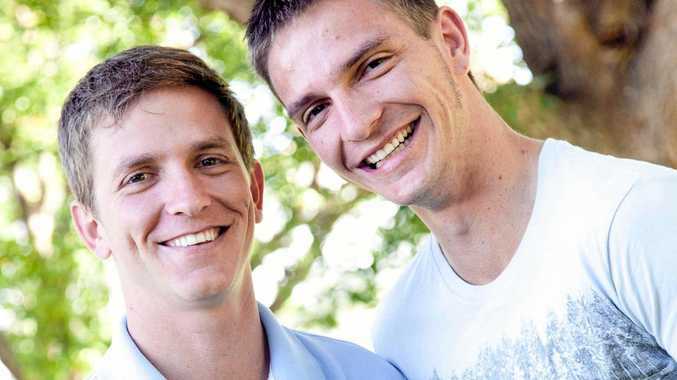 Senator Hanson-Young said she had sought the advice of lawyer Rebecca Giles. It has been reported Senator Hanson-Young is suing Senator Leyonhjelm over him telling her last week in the Senate to "stop shagging men". Appearing on the same program, Senator Leyonhjelm denied making comments about Senator-Hanson-Young's private life. "I am not apologising for anything. I stand by it. I am opposed to double standards," Senator Leyonhjelm said. He claimed Senator Hanson-Young had said "word to the effect that all men are rapists", and went on to repeat claims about Senator Hanson-Young's private life. In her interview, Senator Hanson-Young denied she had made the statement about men, saying, "I just want to put it really clearly that I never said those comments, I never inferred them, I do not believe them". "What is clear and what is consistent is his total disrespect. And that's why I'm standing up," she said. Senator Hanson-Young said she had also been motivated to take action because of her daughter. "Our parliament should be the pinnacle of how we engage in respectful debate, and just because you are losing an argument gives no person - whether they are a member or parliament or a commentator or they are somebody in the privacy of backyard discussion over a barbecue - gives nobody has the right to treat a woman like that with such sexist slurs just because they couldn't win the argument on sound facts." Senator Leyonhjelm said there is no way he will apologise. The Greens will try to have Senator Leyonhjelm censured by parliament, with leader Richard Di Natale calling on Prime Minister Malcolm Turnbull and Opposition Leader Bill Shorten to condemn the comments.